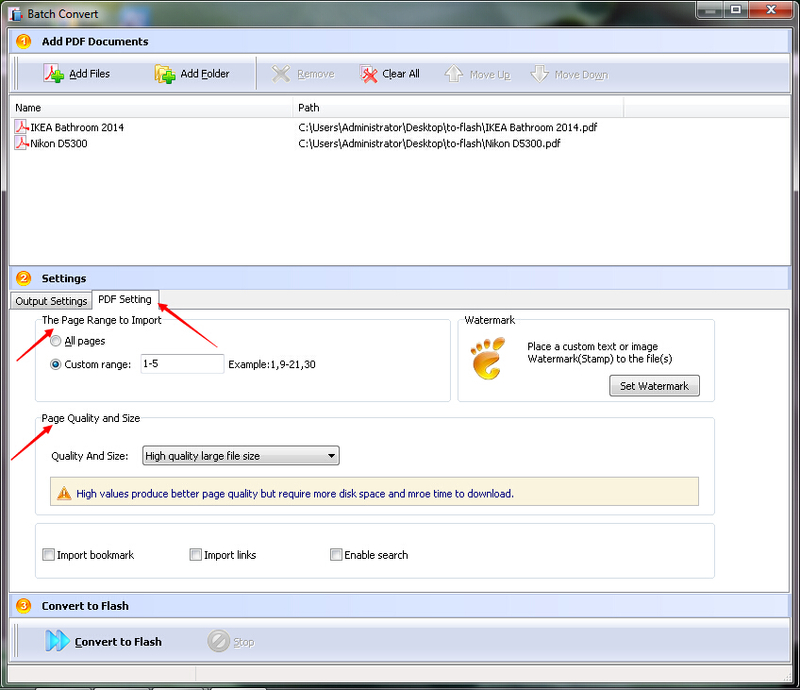 How to batch convert a folder of PDF files to digital publications by using A-PDF to Flash? I want to batch convert a folder of PDF files to digital publications. However, I don't know how to do it. Is there any tool which can help me to do it with ease? With A-PDF To Flash, you are able to batch convert a folder of PDF files to digital publications easily in minutes. Step 1: Launch the program and then click the "Batch convert" tab below the "Advanced Mode". 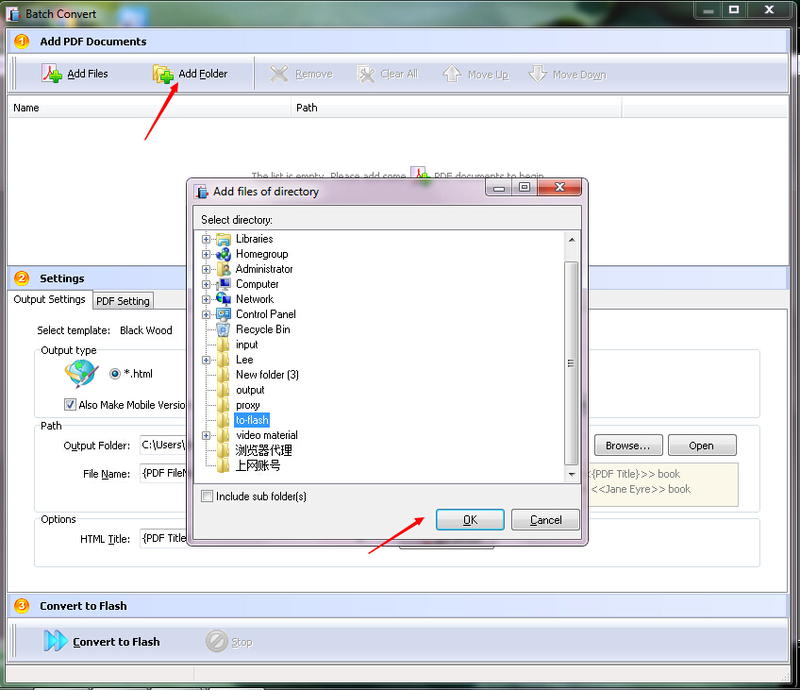 Step 2: Click the "Add Folder" button to add your folder. Step 3: Click the "Output Settings" tab to customize your output settings. You are allowed to "Select template", set the "Output type" and the "Path" and choose the "HTML Title". Step 4: Click the "PDF Setting" tab to set "The Page Range to Import" and the "Page Quality and Size". 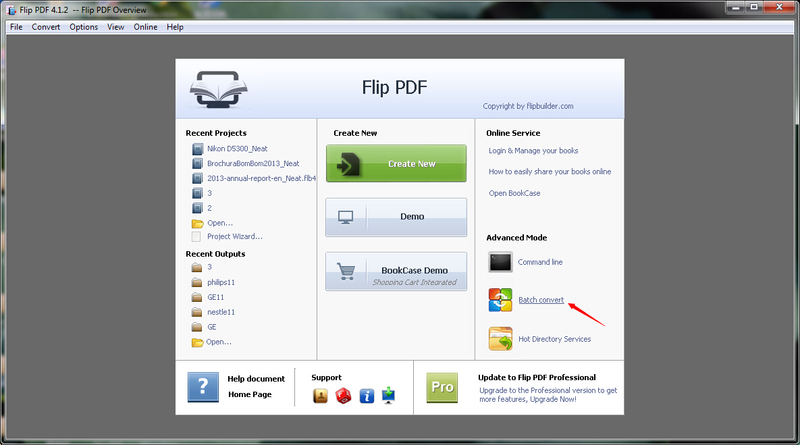 Step 5: Click the "Convert to Flash" button to start converting the PDF files in the chosen folder.